As a mother with 5 kids at home, I've had my turn with flashcards ... and tears and whines. As my son enters kindergarten this year, I cannot bear the thought of doing it again. 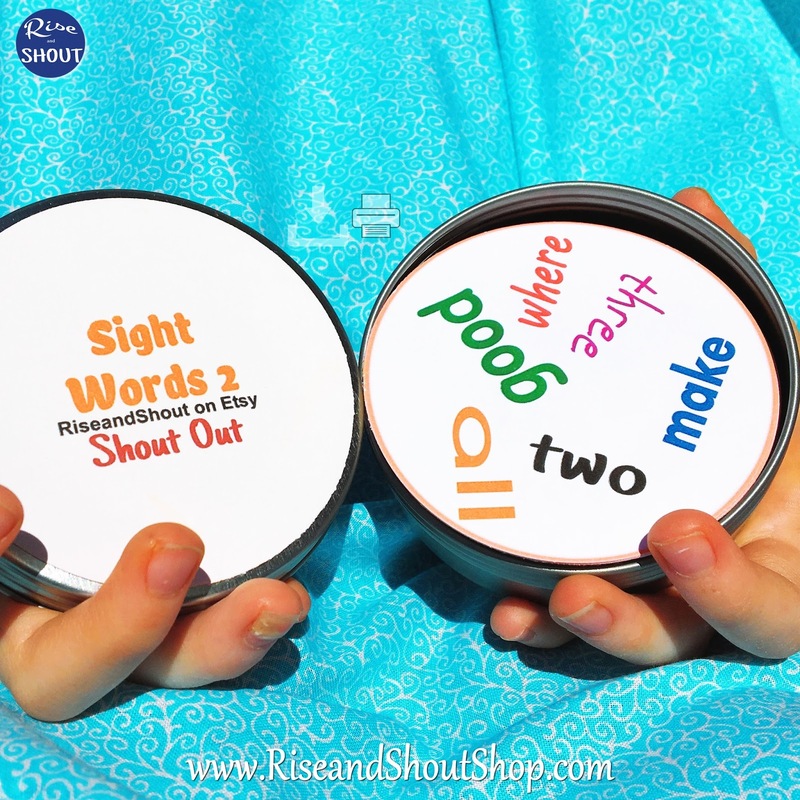 That's why I'm creating a whole line of Sight Words Shout Out. My kids LOVE to play and will play again and again. Each time they play they reinforce their learning. In Shout Out, each card has one, and only one match, with every other card. In standard play, each player has a card and there is a pile in the middle. If you find your match to the pile first, Shout Out, then take the top card. Play continues until the pile is gone. Count your cards. The player with the most cards wins. But what do you do when your child hasn't mastered all 31 words in the game? There's a few fun and alternative ways to play. 1. If you are working on learning a specific word (let's say "funny"), hand your child the deck. Point to the word you are teaching on the image page. Tell them to find the 6 cards with the word "funny" (each deck has each word listed 6 times). To make it more fun, set a timer to count down or use a stopwatch to see how long it takes. 2. 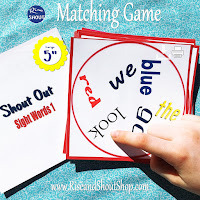 Beginning readers may have trouble initially reading and matching all the words. Another way to play is by placing the pile face up in the center. The players race to read ANY of the words on the pile. If they read a word first, they take the card. Collect the most cards to win. See How to Play Page for other ideas. 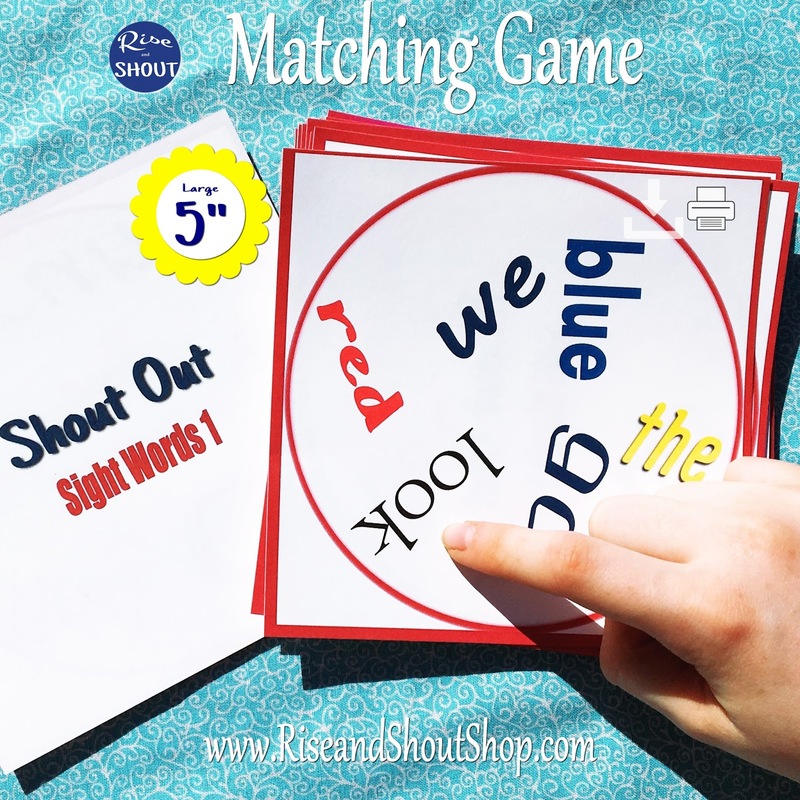 One of my kid's teachers explained to me that sight words are truly "sight" words. Kids learn them by their general size and shape, not sounding them out. They may guess with the initial sound and basic shape ... and that's okay. It's all part of learning. 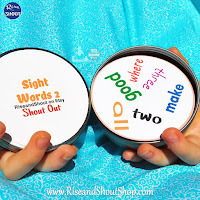 Playing Shout Out will help them recognize the words by color and general shape. Don't worry if they occasionally guess wrong. It's all part of the learning process. Correct them and move on. If they're having fun, then they'll want to play over and over again. And as they repeat, they'll learn. Before you know it, they'll be reading books! 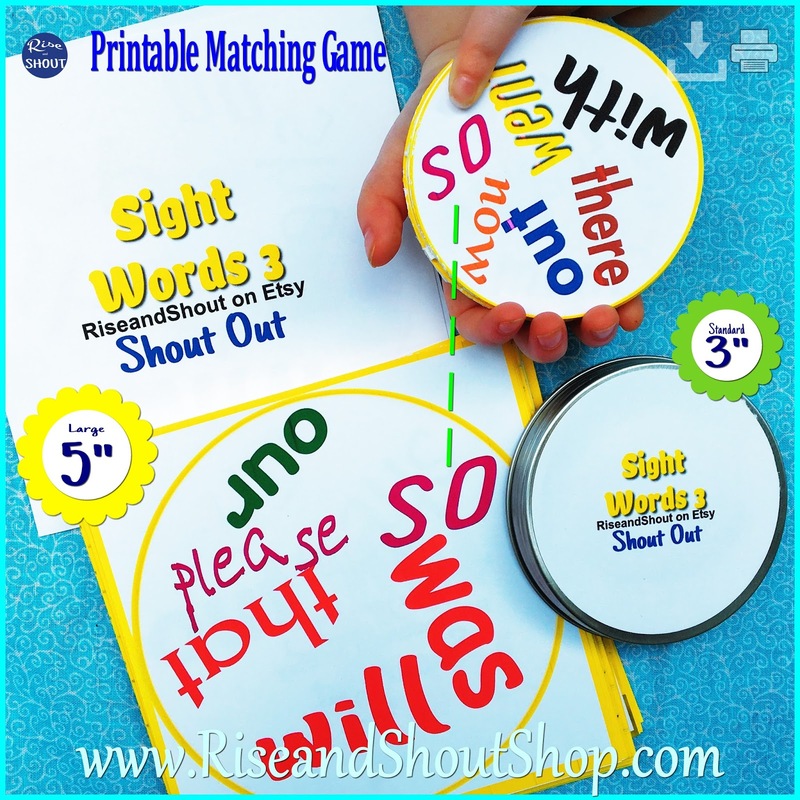 Each game of Sight Words comes in 3 a bundle with 3" and 5"cards. All games can be cut in circles or squares. (I use a 3" circle punch for the smaller cards). There also printable storage boxes.